The frequency of formal volunteering varies widely across European countries, and rates of formal volunteering are especially low among Eastern European countries. Why are there such large differences in volunteering rates when it is known that volunteering is beneficial for well-being? Using data from the latest round of the European Social Survey, we test three hypotheses to explain these cross-national differences in volunteering. 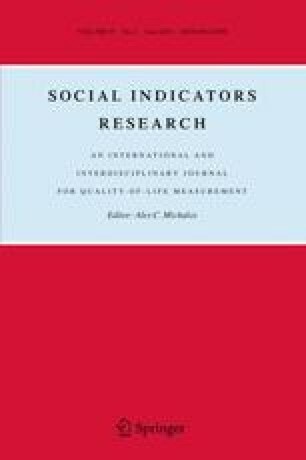 We ask whether people in countries with low frequencies of volunteering spend more of their time on informal volunteering activities; whether they differ on socio-demographic variables which are known to be linked to volunteering rates; or whether they show less well-being benefit from formal volunteering. Contrary to the first hypothesis, we find a positive correlation between formal and informal volunteering. We further conclude that national differences in rates of volunteering cannot be fully explained by differences in the social, psychological or cultural factors associated with volunteering nor the outcome of volunteering. It is likely that contextual factors, such as a country’s historical background or institutions, determine levels of volunteering to a large extent. In the past 12 months, how often did you get involved in work for voluntary or charitable organisations? 01 At least once a week. 02 At least once a month. 03 At least once every 3 months. 04 At least once every 6 months. Not counting anything you do for your family, in your work, or within voluntary organisations, how often, in the past 12 months, did you actively provide help for other people? All things considered, how satisfied are you with your life as a whole nowadays? Please answer using this card, where 0 means extremely dissatisfied and 10 means extremely satisfied. you had a lot of energy? you were absorbed in what you were doing? you felt calm and peaceful? you felt really rested when you woke up in the morning? Response categories: none or almost none of the time, some of the time, most of the time, all or almost all of the time. you felt that everything you did was an effort? you could not get going? Schwartz, S. H. (2007). Draft users manual: Proper use of the schwarz value survey (Publication., from compiled by Romie F. Littrell. Auckland, New Zealand: Centre for Cross Cultural Comparisons. http://www.crossculturalcentre.homestead.com.